NASA data was used to accurately map out the night sky – so wherever you are in the world you’ll see the correct star constellations for your location. Skies are uniquely generated every time you play, so just like in real life you’ll never see the same sky twice. Unless you’re replaying somebody’s challenge, in which case it’ll replicate exactly to ensure a level playing field. You can play with settings to speed up or slow down the day/night cycle. With some circuits taking over a couple of minutes per lap, at 60x accelerated speed with a judicious choice of start time, it’s possible to experience two sunrises and sunsets in one race. Both of which will be completely different to each other. All environmental light sources are independently generated with different properties. The team sampled the color and intensity of individual streetlights, house lights, and even camera flash bulbs, which you’ll see best in any of the Indian tracks at night. Some tracks boast more than 1.2 million road-side trees – and this number keeps going up as the artists try to out-do each other as development progresses. The Indian track Chungara Lake boasts a 19,000-strong flock of pink flamingos, all behaving independently of each other. 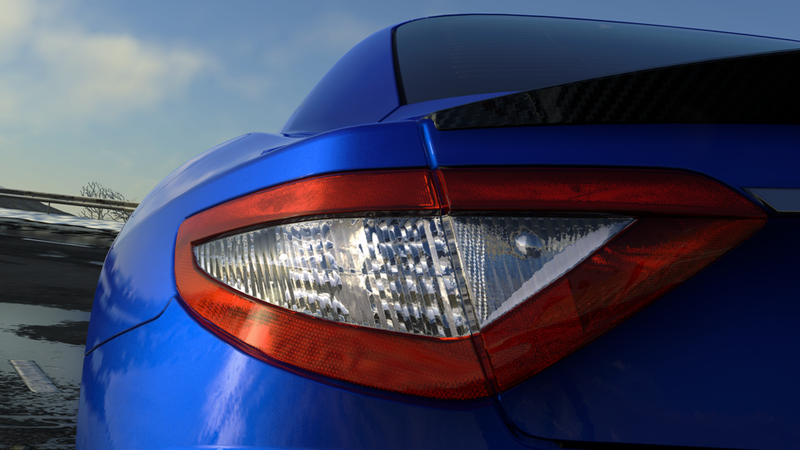 A typical Driveclub car is made up of 260,000 polygons. The staggeringly detailed cars you see in promo videos are the same models you drive in the game – they’re not pre-rendered CG versions. Each car takes approximately seven months to create – from initial licensing, reference collation, CAD data processing, asset production, physics modelling, through to the final car in-game. A full shader-driven procedural system is used to simulate car damage. Multiple layers of scratches appear in the most exposed areas and edges, revealing undercoat and bare metal or carbon. A parallax mapped dent layer provides minor crumpling, and a physics driven vertex deformation system is used for severe damage. Although not a sim, Driveclub’s handling model is based on real world physics, using technical data about performance provided directly by the manufacturers. Evolution worked closely with Thrustmaster to get the best possible feel on all their wheels. When using a supported wheel you get 1:1 movement between the steering wheel in your hands and the steering wheel in-game. The AI drivers adapt their racing tactics and braking strategy based on pressure from players or other drivers. When alongside them, they will try to brake deeper into the corner. AI drivers always try to predict overtaking opportunities based on the track, the performance of their car relative to opponents, and also how opponents are driving at any given moment. When an AI driver has a car with KERS (Kinetic Energy Recovery System) fitted, they will use the energy strategically at opportune moments to pass or block opponents on the track. Despite all of the above, once selected a track will take no more than 15 seconds to load.